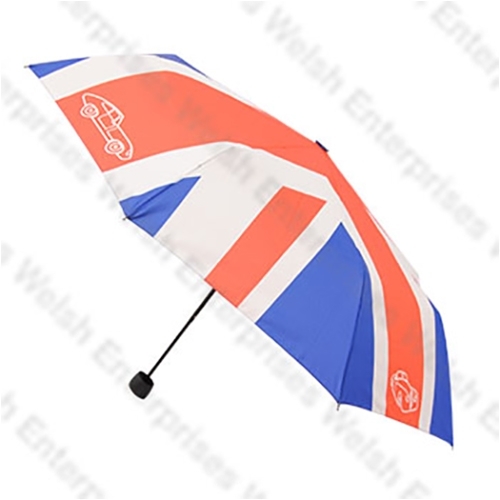 Exclusive Welsh designed and manufactured Union Jack umbrella. The only umbrella on the market designed for the Jaguar enthusiast in mind. The Union Jack covers the entire umbrella with image outlines of the Jaguar E-Type and XK120 along the edge of the umbrella. Perfect for car shows for both shade from the sun or for the unplanned rainy day!